Blood orange season starts in December and ends around May. I had never had them outside of Florida but had always been envious of the food blogs that posted about them. They’re extra sweet with the added bonus of having a beautiful, dark pink juice. Apparently, they’re extra good for you too. They are rich in vitamin C as well as an antioxidant that’s called Anthocyanin. Anthocyanin has anti-inflammatory properties, plus it helps your blood vessels, heart, as well as lower cholesterol. Winning. Since Spring has brought warmer weather in most places by now, it’s definitely time for more outdoor parties and picnics. I love a good buttercream or cream cheese cake as the next person, but they don’t do well in the heat. This lovely cake only needs some type of cover (for bugs) and it’s set. It doesn’t need to be refrigerated but I like putting mine in the fridge because I prefer my cakes cold. This cake is not for people who don’t like citrus. There’s wonderful peel in the cake itself. Then there’s a (optional) syrup that’s made of juice. Plus, there’s the glaze with more juice. It packs a wonderfully zesty punch. 1. Preheat oven to 350 degrees. Grease and flour loaf pans. 2. Cream the butter and 1 cup of granulated sugar until it reaches a lighter, fluffier consistency. See picture below. 3. On medium speed, incorporate one egg at a time into the butter/sugar mixture. After the eggs, add orange zest. 4. Sift flour, baking powder, baking soda, and salt together. In another bowl mix the 2 tablespoons of blood orange juice with the buttermilk & vanilla. Add some of the flour mixture to the original sugar-butter batter and mix. Then add some of the buttermilk mixture and mix. Alternate between the flour mix and the buttermilk mix until all of it is combined. 5. Pour cake batter into prepared cake loaf pan. Bake for 45 minutes to an hour. While the cake bakes, cook the remaining 1/4 cup remaining granulated sugar with the remaining 1/4 cup of blood orange juice in a sauce pan until sugar dissolves. Once the cake is golden brown and a cake tester comes out clean, remove from oven. Allow cake to cool for 10 minutes then spoon blood orange syrup on it. Allow cake to cool completely. 6. For the glaze, combine the powdered sugar with the last of the blood orange juice. If the consistency is too thick, add a little more orange juice (if you have it) or a little water. Pour over cake and allow glaze to dry. Store wrapped in the refrigerator or in a cool area. Enjoy! WHAAAAT?! 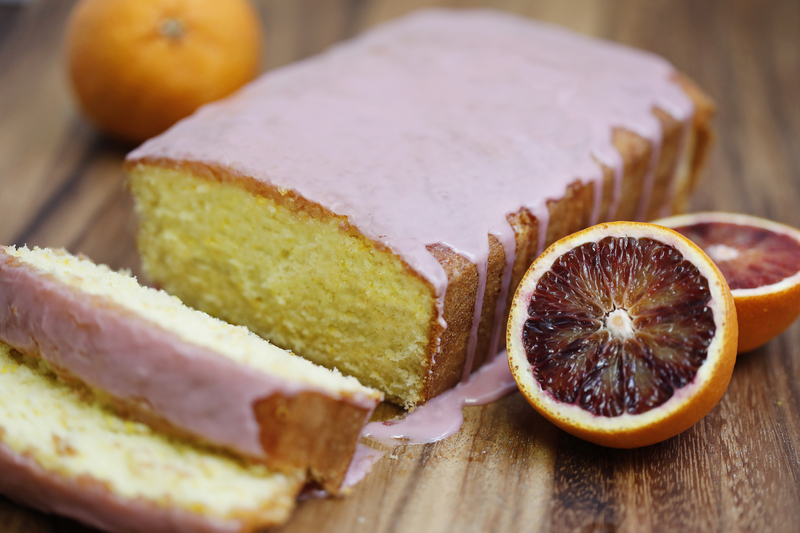 This blood orange cake looks AMAZING! 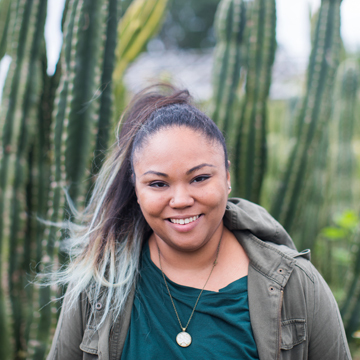 I was born in Florida but am living out of state now… and boy do I miss the citrus! I pick oranges & loquats in my mom’s yard when I visit. I have gotta find some blood oranges here in Colorado so I can try this gorgeous cake! Your photography is so beautiful, too. Really lovely work! I’m a sucker for blood orange anything!! And I like my cakes cool too – especially in the warm weather!! I’m making this for brunch tomorrow! I love pound cake and the flavor of this one sounds so divine. This looks fabulous! I’m going to plan a brunch just to be able to enjoy this recipe with others!